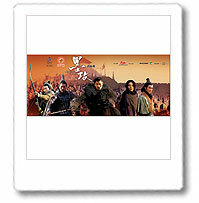 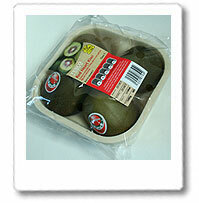 PVR of Red Heart kiwifruit (Hongyang) has been filed worldwide successfully. 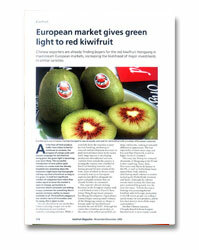 European market gives green light to red kiwifruit - Sun Rising is one company that has managed to secure supply contracts for red kiwifruit with a number of European customers. 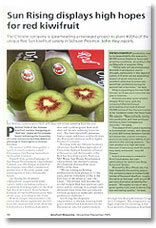 Sun Rising launch red heart kiwi with ParkNshop in Hong Kong. 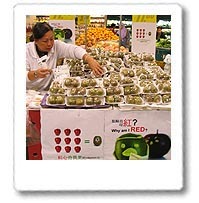 Red heart kiwi are available in CitySuper in Hong Kong. 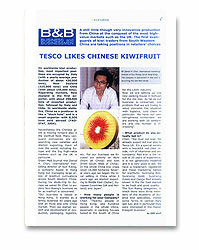 Our red heart kiwi launched in UK, Tesco, Asda, Morrison, Marks and Spencer. 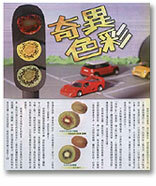 Red heart kiwi launched in Japan with Jusco. 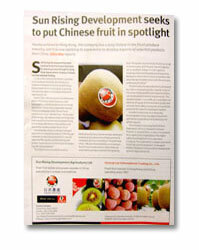 The first avanguards of kiwi trader from South Western China are taking positions in retailers' choices. 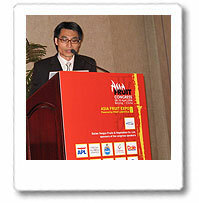 Our marketing director was invited by Asia Fruit Congress to give a speech on China's fruit export challenges and red kiwifruits. 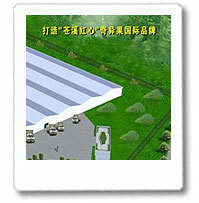 Sun Rising builds a new kiwifruit packinghouse in the county of Cangxi, Sichuan province with up to date cold storage facilities. 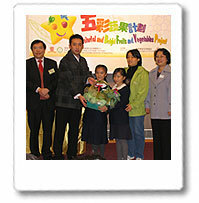 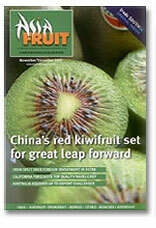 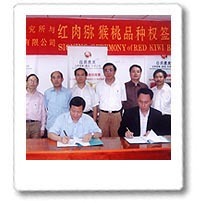 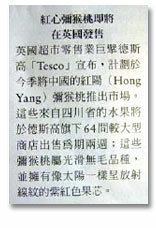 Sun Rising acquired a worldwide exclusive plant variety right of Hongyang (Red kiwifruit) for a period of 20 years.